Germany is a nice study location for Nigerian students; it has about 380 universities with 20 in the top educational rankings in the world. Thirteen of its universities are focused on engineering and natural sciences, while other top public research universities are particularly strong in sciences, business administration, arts, medical and applied sciences. The country is characterized by a serene environment with cold weather, beautiful landscapes of forests, mountains and beaches, trendy skyscrapers in cities like Frankfurt, and a fast-paced business hub with bubbling night scenes. Another good reason is that German universities charge low to no tuition fees, but only a small amount is paid to cover administration costs. If you’re interested in studying in Germany, I recently combined a list of the top universities in Germany, which you can read up on here. After getting an unconditional offer of admission to study in Germany, you should apply for a student visa as soon as possible, at least 4 months before you’re due to arrive in the country. Nigerian students who intend to migrate to Germany can process their applications for the Germany student visa at the German consulate in Lagos. Online application form (2), you must complete and print out the form inclusive of your Questionnaire answered according to section 54 (6) of the Residence Act, and your immigration declaration in accordance with section 54 (2) of the Residence Act. Click here to download the forms. Proof of financial sufficiency, this is done by opening and crediting a Blocked account with the Deutsche bank via the German Consulate, the confirmation number and details should be sent along with your application. Visa application fees of €60 (N20,976), this is payable in Naira according to exchange rates only in cash at the time of visa application submission. Click here for confirmation. Germany visa appointment at the German consulate is booked online via email to student@lago.diplo.de. To begin; you must include your block account information, admission letter and passport data page. Applicants are required to arrive in person at the German consulate from Mondays – Fridays at 9:00 AM with complete forms, original documents and two photocopy of all supporting documents. Visa application processing time is usually 6-8 weeks depending on individual cases. For every Nigerian student processing a visa to study in Germany, you’ll definitely get to the financial resource (“blocked account” or Finanzierungsnachweis in German) phase where you have to prove that you can support yourself financially throughout your academic duration in Germany; it is the quickest way, as an applicant to prove that you have about €8,700 per annum, with the maximum that you can withdraw in a month being €670, all at your disposal for one year. This is one of the most vital documents for self sponsored international students wishing to study in Germany. Blocked Account (Sperrkonto) is an account required for personally financing your studies and living costs in Germany. These finances may include costs like rent, university administration fees, enrollment fees and your everyday living expenses like food, clothes, groceries, etc. The blocked account for Germany can be opened via the Deutsche bank or various other German banks like Sparkasse or Volksbank who allow foreign students to operate accounts with their institutions. But my main focus for this article is the Deutsche bank. How Do I Open A Blocked Account In Germany From Nigeria? 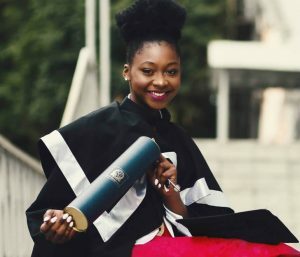 In order to begin the application process to open a blocked account with the Deutsche bank from Nigeria, you must have already gotten provisional admission into a German university or institute (Click here for article on the best 12 schools in Germany), a PDF copy of this document will suffice. Your next line of action is to complete the application forms (Note that there are different application forms varying according to age (18 year older, or up to 18 Years)) for the account using PDF Adobe reader in your PC and print out two copies. Note that you must leave the date, place and signature columns empty; these will be filled in front of the German diplomatic officer. To obtain an application form, you can visit the website of the Deutsche Bank. After that, make an appointment with the German consulate in Abuja to verify your account opening details and signature. Click here to book your appointment. After certifying your form, date and signature by the German Embassy as it is instructed. Attach your international passport photocopy, school admission letter, Nigerian bank statement, signature and date included. Send the application forms along with all supporting documents via courier to the Deutsche Bank Address in Germany. You will be informed directly by post (ensure that you include your registered postal address if any) and email about your account number, IBAN and BLZ of your new account when it has been successfully opened. This process can take about 2-3 weeks. Then, you should transfer at least €8040 + €50 (as per bank charges for account opening, also create allowance for your Nigerian bank transfer fee). The Deutsche Bank will inform you and the Germany Embassy about your account details. Once you have arrived in Germany, you should visit a Deutsche bank branch with your international passport to fill a service order to lift the block on your account and activate. The banking officer will provide you with a Eurocheque-Karte or EC card for ATM machine and Login details for internet banking. In a case where you’re not granted a visa to Germany, you’ll be required to provide an original letter of authorization stating your visa status and a signed application to close the account sent to the above. You are advised to apply early enough for your block account, in fact as early as you receive your admission letter as the opening/verification process may take up to 8 weeks, which may take a chunk of time required for applying for your Germany student visa (you can read up on Germany student visa application here).